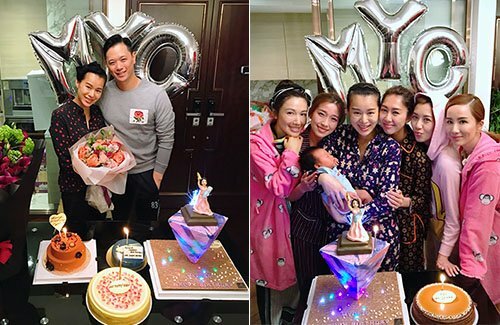 On November 6, Myolie Wu (胡杏兒) celebrated her 38th birthday with close friends and family. Myolie’s husband, Philip Lee (李乘德), didn’t make an appearance on social media updates on the night of Myolie’s party, but her husband personally uploaded a message of celebration for Myolie the following day, sharing a photo he snapped with Myolie that day. The photo was taken in what looks like to be their kitchen, and Myolie was surrounded by four different birthday cakes.